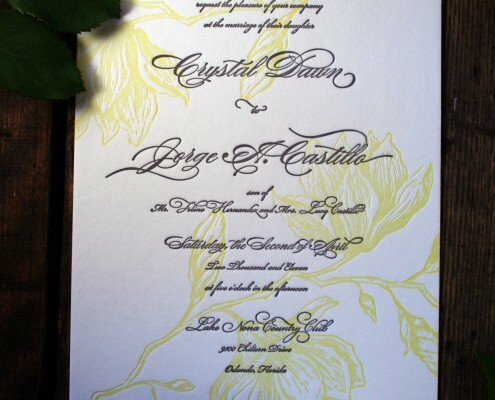 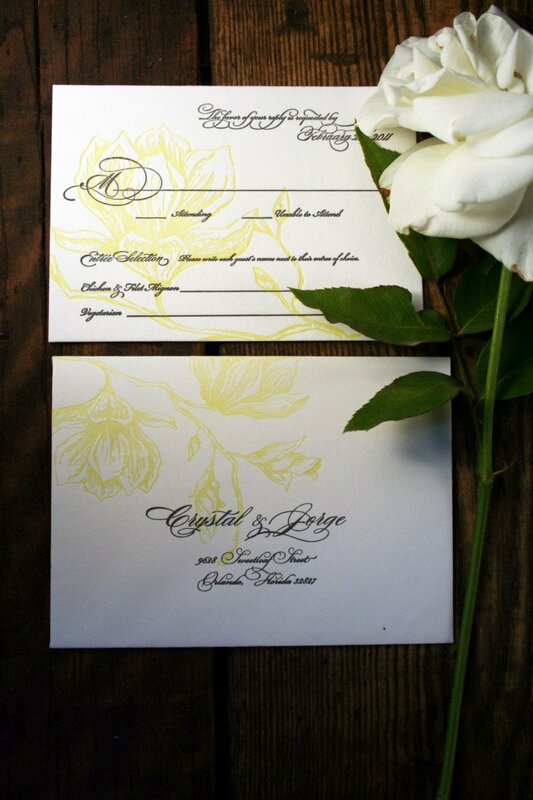 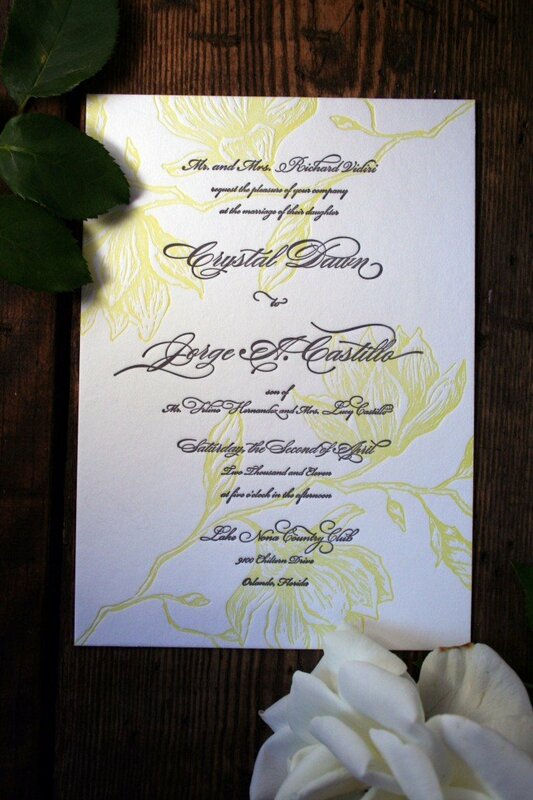 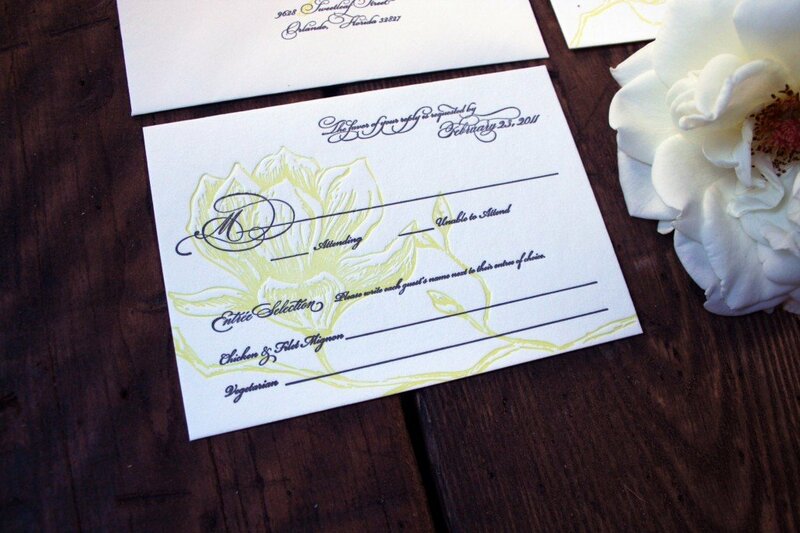 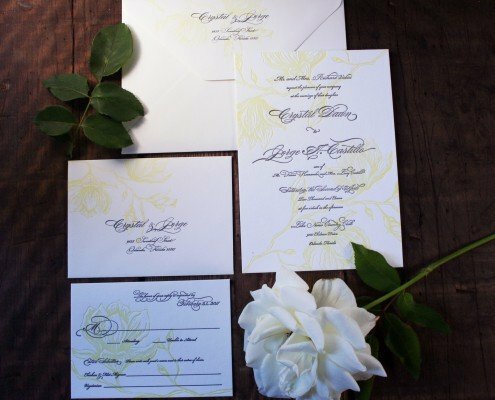 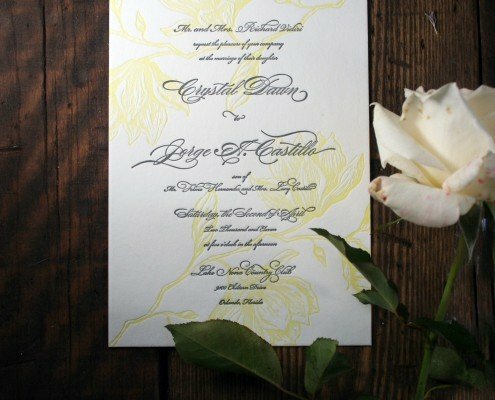 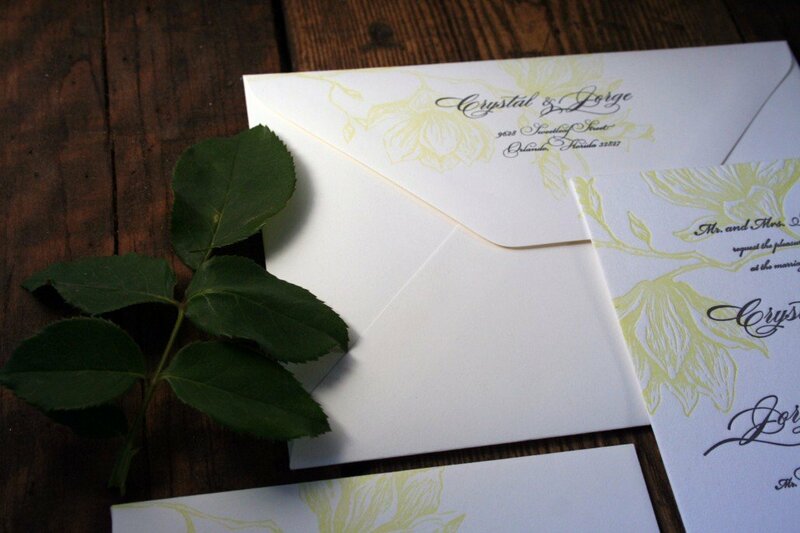 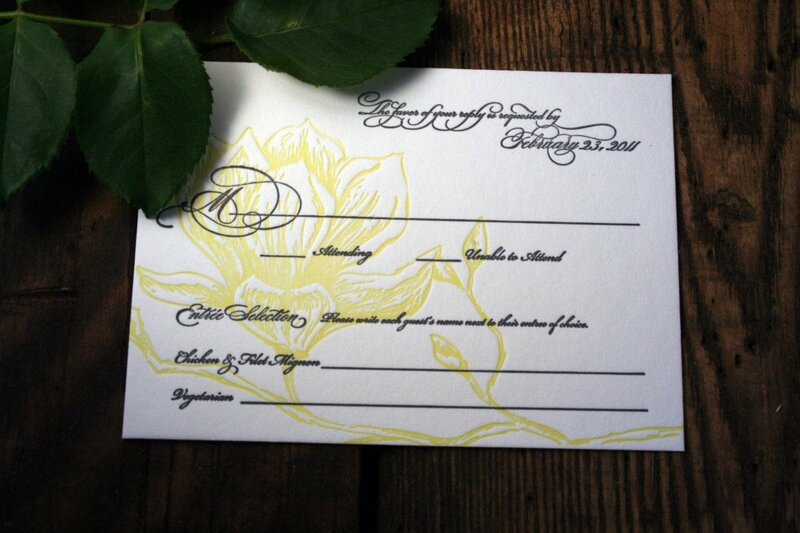 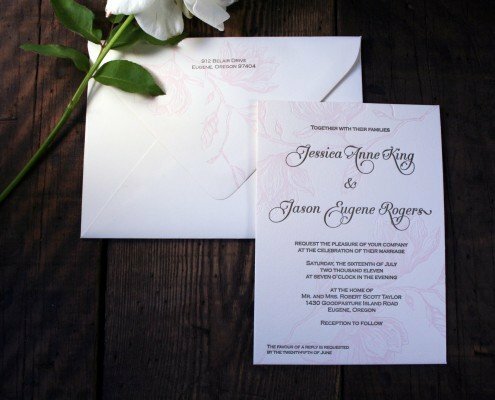 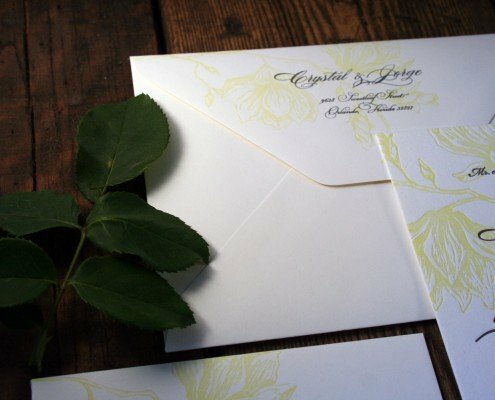 Timeless and elegant, our Magnolia invitations bloom with fresh, romantic flowers and traditional wedding elegance. 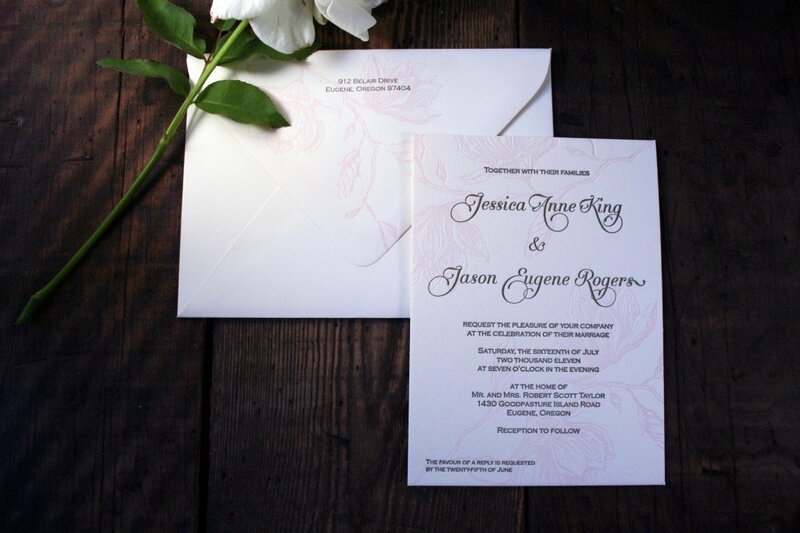 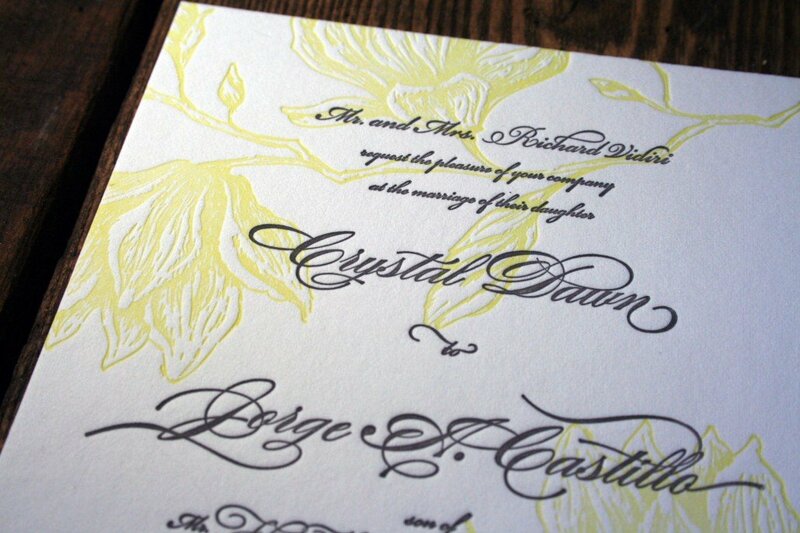 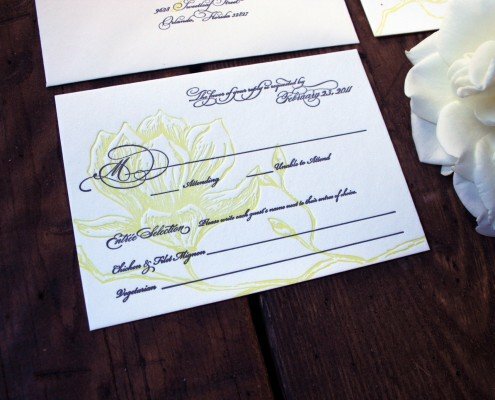 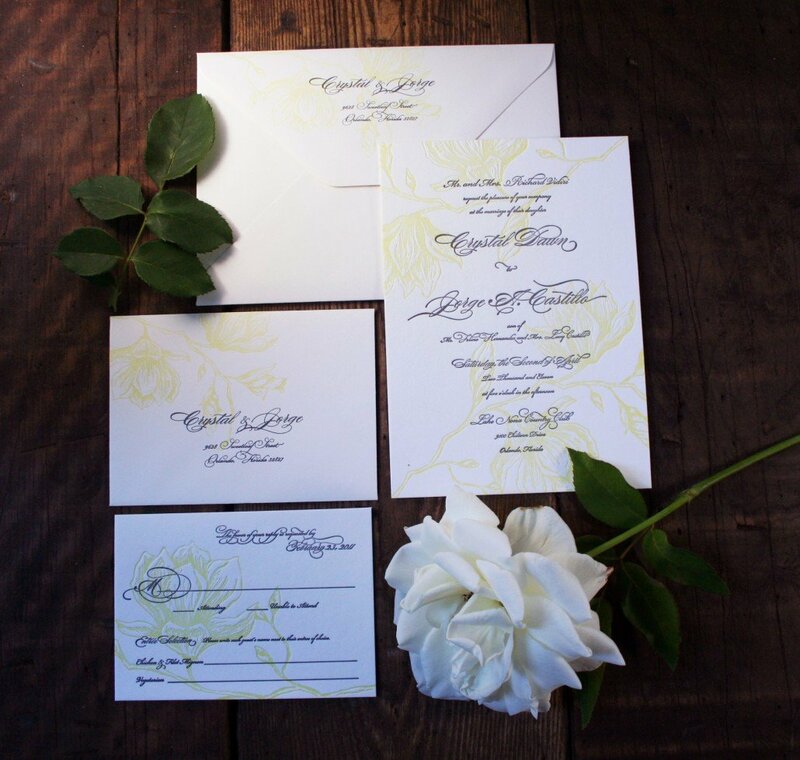 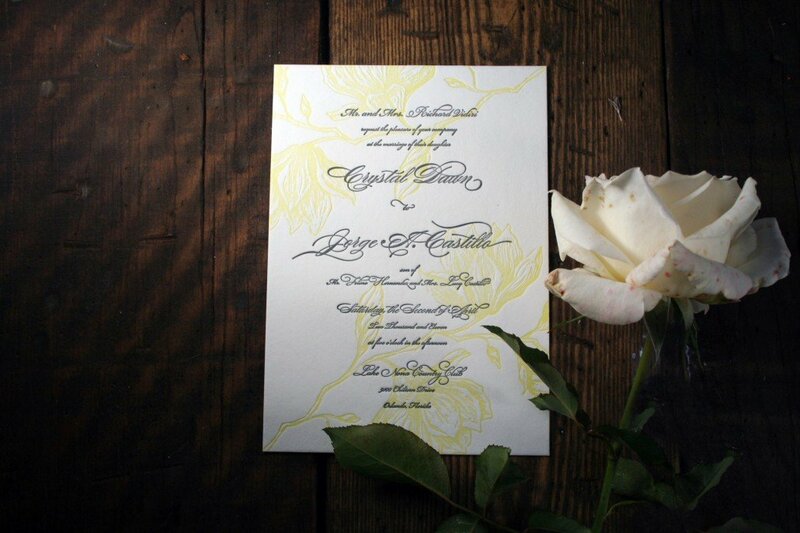 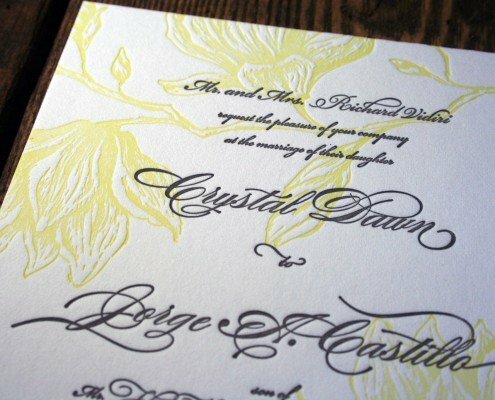 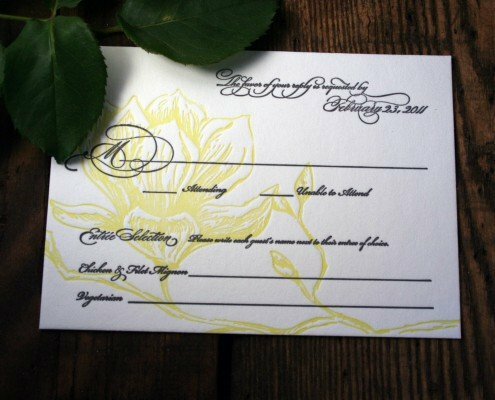 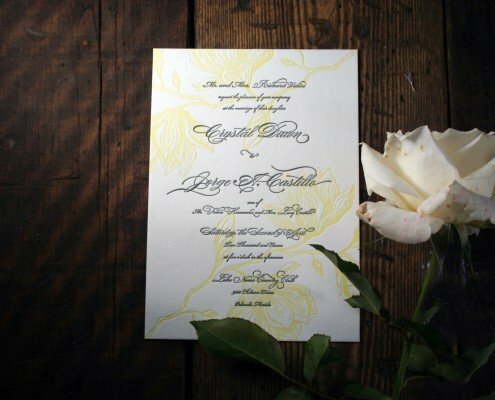 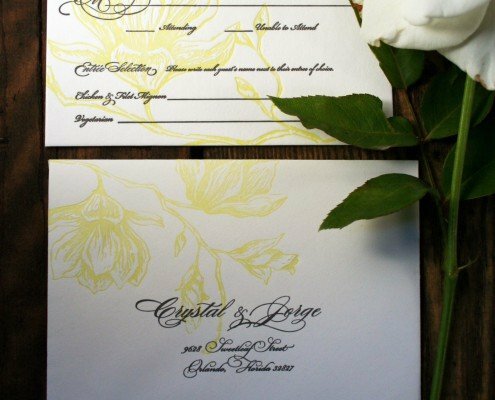 These gorgeous invitations are ideal for a formal, traditional wedding with luxury letterpress personality. 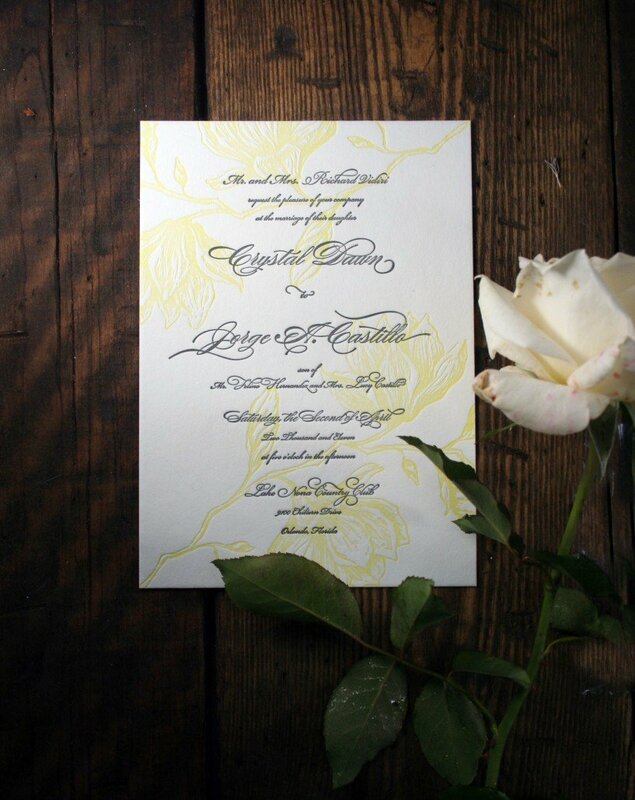 This design also looks fabulous as a birth announcement or shower invitation as well!